Vehicle price does not include sales tax, vehicle registration fees, finance charges, administration fees or any other fees required by law. All prices, specifications, availability and manufacturer’s incentives subject to change without notice. Contact dealer for most current information. While every reasonable effort is made to ensure the accuracy of this information, we are not responsible for any errors or omissions contained on these pages. 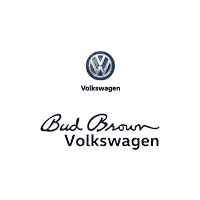 Please verify any information in question directly with Bud Brown Volkswagen.